I don't do a lot of designs for holidays. Just a few for each one (at most). 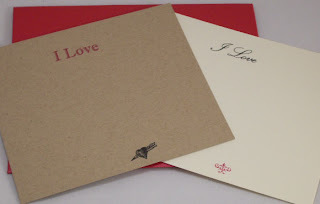 I just finished my one and only nod to Valentine's Day for my esty shop. The idea came from the Christmas gift (The Bucket of Love) I made for my husband. That project was loads of work. It was worth it, but I wanted to come up with something a little more user friendly for the shop. 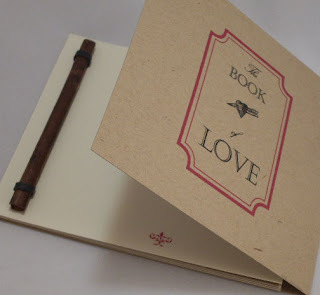 Enter "The Book of Love". 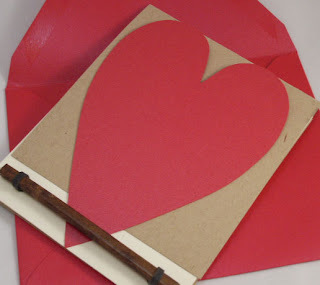 All the giver has to do is decorate the heart (if they choose), fill in the pages with the things they love about the person, pop it in the envelope and voila, instant valentine keepsake. I have enough supplies to make 10 (my first limited edition!). 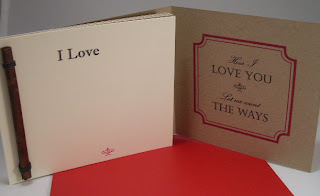 The heart and envelope are red pearlized paper. 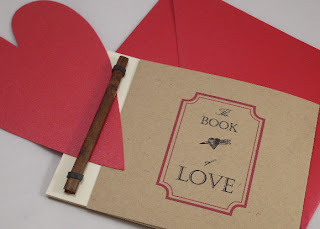 The heart works as the to/from tag and to keep the book closed. Once the heart is removed, the book opens. The inside front cover (on right) and the first page to write on. Samples of the pages to write on. They alternate in the book. 10 pages total. I LOVE these! They would be a great simple project for a kid to fill in and give to a parent or visa versa!